Women defenders are present in all the struggles against injustice in Mexico. Our place is in the vanguard. We are seeds with embryos of change. Immersed in a patriarchal world of death, our contributions are constantly besieged. We are stalked by power groups as we continue to take bold steps, but violence can also come from our own families, people in our community or our own life companions. 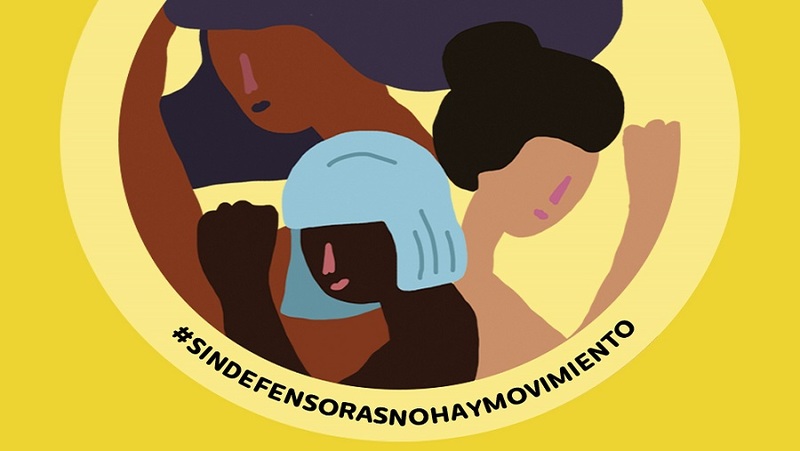 According to the Mesoamerican Registry of Attacks against Women Human Rights Defenders, between 2015 and 2016, a total of 2,197 attacks were perpetrated against women defenders in the region, 30% more than those that took place between 2013 and 2014. México is the country most hostile to women defenders with the greatest number of attacks in this period as compared to El Salvador, Guatemala, Honduras and Nicaragua, a total of 862, or an average of one a day. Even though our main executioners continue to be those who are supposed to legally guarantee our rights, that is to say, agents of the State, violence also encroaches in our most intimate spaces. The Mesoamerican Registry reveals that at least 13% of the violence against us occurs in our closest circles. We women defenders are punished for our activism just as our male colleagues are. But in addition, we are attacked for rejecting the social role imposed on us, which is that of caring for others and performing domestic tasks, and we are also chastised for invading public spaces arbitrarily reserved for males. That is why that during the 16 Days of Activism against Gender Violence, we unveil these forms of violence, perhaps the most invisible, in contrast with those suffered by Black persons harmed by their impact. Far from the falsehoods recounted against us as indisputable (repetition, strategies of persuasion), our efforts to bring the violence in our movements and organizations out from behind the scenes do not weaken or break us down; it is a lie that we who raise our voices are the detractors of our movements. Women defenders in Mexico place our bets on in-depth transformation, and this is why we work so hard on the congruence of our causes and safeguard our dignity and that of our sisters. The systemic changes that we’re seeking begin on the front lines and are the foundations of the world that we’re struggling for. Needless to say, it is critical in the framework of the current political context, to demand that the incoming government initiate forceful measures to eliminate once and for all the violence that all defenders face due to our work, and in the case of women defenders, due to our condition of gender. In this sense, it is paramount that the State make a drastic turn in official policies that conceive of defenders as the enemy and thus, aim to exterminate us in a variety of ways, including legislation that criminalizes us and the perpetuation of impunity with its nefarious consequences. Moreover, governments are obliged to attend to the origin of the injustices and social inequality that keep us on the circuitous line of defense. We women defenders are present in all struggles. Our fluorescent tracks, the gleams of the firefly, highlight the paths on which the entire population can enjoy fundamental rights. Without us, there is no movement. Today, on the International Day of Human Rights Defenders, our collective cry is so powerful that it resounds both within and without our organizations. The State must act immediately, without vacillation; its debt to the population and to defenders is immense. Countless massacres, disappearances and rapes, along with criminalization, terror, impunity and cynicism… are its wrongs. Movements have our own battles. The expressions of machismo reproduced in our ranks are neither second in importance nor individual matters. It is imperative to wipe them out. Men and women comrades in struggle, let’s be conscious. Let’s make our movements save spaces for women defenders!